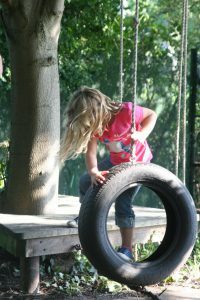 We equip young girls with the confidence and skills to take a sturdy step towards the next stages of their education. 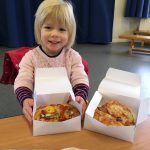 Tots Have Fun is an amazing programme of fun and inspiring activities for girls aged two to three years old. 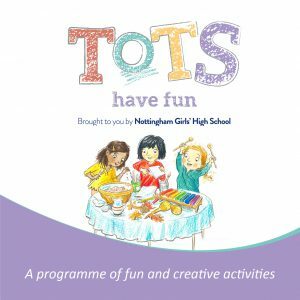 A mixture of guided activities with our expert qualified teachers and free play where tots enjoy socialising and exploring in the wonderful learning environment of Nottingham Girls’ High School, both indoors and outdoors. Sessions are free of charge and run from 10.00am – 11.00am on alternate Thursdays and Fridays, with refreshments provided. Siblings are also welcome. Activities are listed below but places are limited so book early! Please call Susie in Community Partnerships on 0115 935 4423 or book directly using the booking form below. We can’t wait to meet you! I would like to book a 'Tots have Fun' event.